Ann LePage hopped on the back of a three-wheeled motorcycle Monday to accompany the caravan out of Maine on its trip to Arlington National Cemetery. PORTLAND — The winter weather isn’t keeping Maine’s first lady off a motorcycle as she accompanies 11 truckloads of Maine wreaths rolling toward Arlington National Cemetery. Ann LePage, wife of Gov. Paul LePage, hopped on the back of a three-wheeled motorcycle Monday to accompany the caravan out of Maine. She’s wearing a helmet with a face cover, boots with foot warmers, and a special jacket and gloves to keep warm. She can get in a truck if the weather gets really bad. 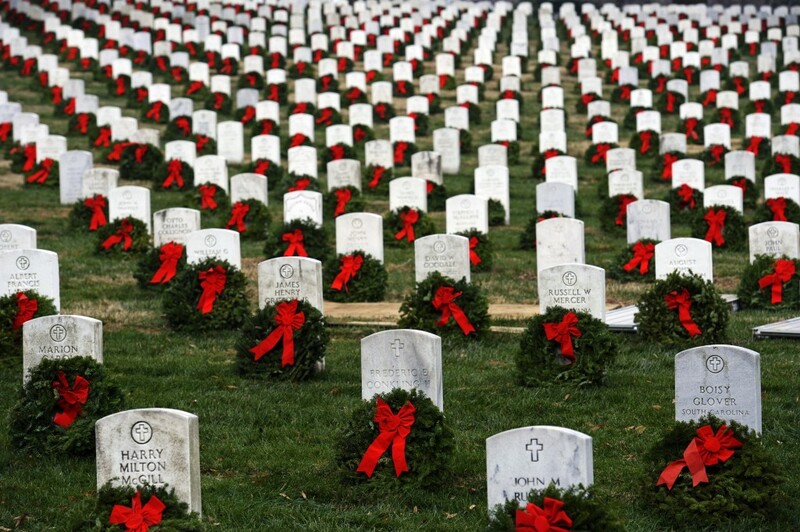 All told, Wreaths Across America expects to ship 470,000 to 500,000 wreaths to adorn veterans’ graves this season.